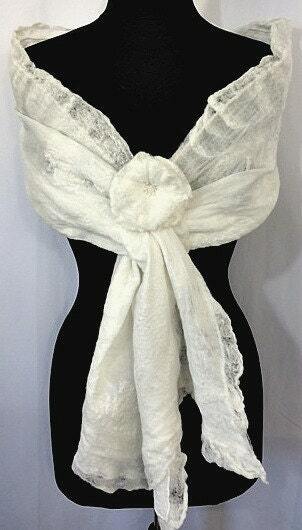 This lovely and light white bridal shawl will add just the right touch to your special day. It is simple and elegant. 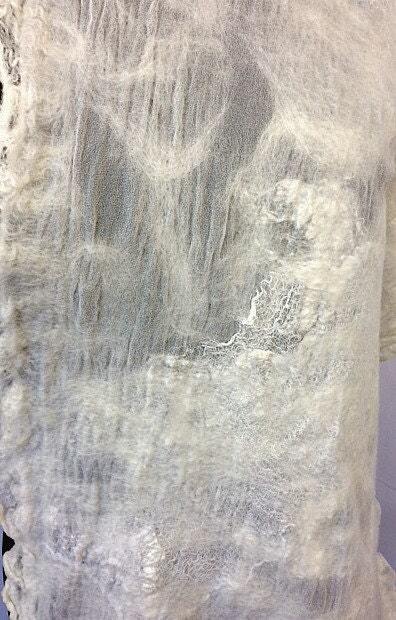 It was made through the process of wet felting with silk chiffon and felted with a blend of natural merino and silk. 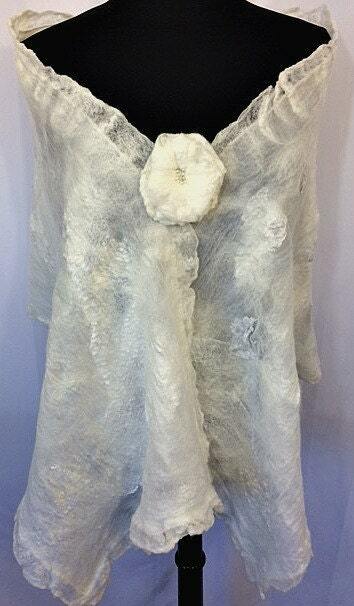 It has been accented with silk noil and cotton gauze fabric. It is finished with a delicate scalloped edge. 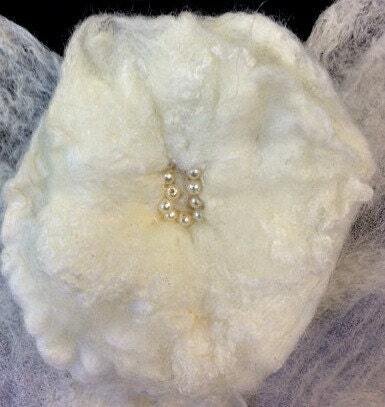 It includes a hand felted beaded flower accessory. 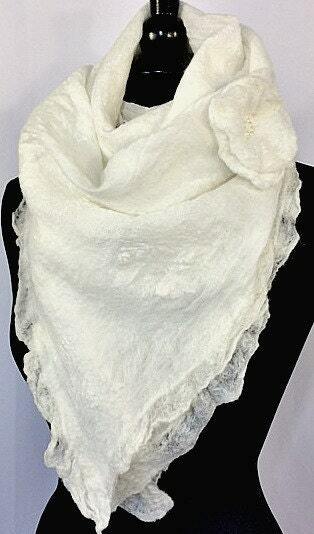 This shawl is meant to bring you peace, serenity, and happiness and can also be worn as a lovely scarf.